QUOTE from the book: "The Gentle Art of Verbal Self-Defense this book is not. 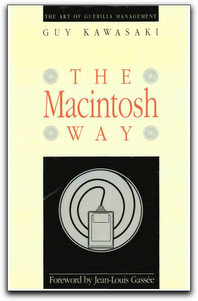 The Macintosh Way is the take-no-prisoners guide to guerrilla marketing warfare in the personal computer software industry. I trust it will upset and delight the right people"